Release eleven, disc thirteen. Maurizio Baglini playing some Scarlatti. People who prefer HIP Scarlatti should steer clear, because this is as un-HIP as one can get. Whenever Baglini hits a big Fazioli bass note, it is closer to an organ than a harpsichord. Depending on what one wants the title of the disc to mean, one may be disappointed. Rhythmic flair ain't what this is all about. Sure, there is some, and some quick playing, and some slow playing displays surprisingly fine rhythmic flair, but much of the playing is about tone, figures, phrasing, tone, and just generally piano playing. The tempi themselves may be dance tempi, but it sounds different than expected, and in many ways better. Baglini brings something new, fresh to some well known sonatas – Kk 380 or 443, say – and, indeed, to all of them. Perhaps he doesn't quite match up to Pletnev or Zacharias or Babayan among piano versions (though, maybe he does on occasion), but this is a very fine disc and one I will return to again. Yes I thought it was fun to hear. It's not the bass which makes it unhip (there are harpsichords which have big basses.) It's also the use of the sustain pedal. Just listen to the way he makes the notes in the lower voice blend into each other in 439. By the way, when I was focusing on that sonata I stumbled across a very unusual recording of it by another Iti, Leonardo Carrieri, unusual because it's very articulated in a way which made me think of Chorzempa. Release twelve, disc fourteen. 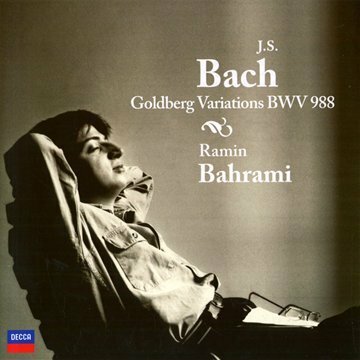 More of Ramin Bahrami's Bach, this time the Goldberg Variations. Bahrami starts off with a slow, not especially flowing Aria, but much of the rest of the playing is on the swift side. I cannot recall having heard a nimbler, more superficially exciting Variation Fourteen, for instance. He can and does play a bit slower when and where needed, but he seems most comfortable and compelling when playing at full steam. Bahrami plays with superb clarity and precision throughout. There's much to enjoy here, but there is some seriously heavy-duty competition in this repertoire. When compared to Andras Schiff's ECM recording (or his Decca one), for instance, Bahrami sounds superficial. Pick your favorite, and I suspect Bahrami may not measure up. That written, this is an excellent recording in superb sound. Release thirteen, disc fifteen. 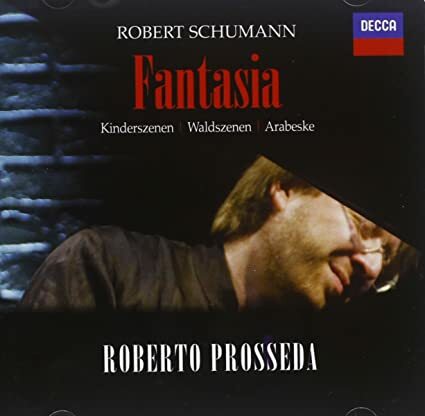 Roberto Prosseda's Schumann. Prosseda is a Mendelssohn specialist, and last year I found him to be world-class in Mendelssohn's Lieder Ohne Worte. It seemed a good time to try something else from his thin discography. I settled on his Schumann. Settled ended up being the right word. The disc is not terrible, nor is it especially good. It's just sort of there. Prosseda plays everything on the light side, and most things are a bit quick. It sounds largely superficial. There are some splendid moments, to be sure, as at the end of the opening movement of the Fantasie, which Prosseda stretches out and plays with real beauty. The work as a whole lacks much depth, and cannot compare to the best or second-best recordings out there. Waldszenen sounds too neat and clean and balanced. It sounds sort of like Mendelssohn. Neither the Arabeske or Kinderszenen left much of an impression. Not helping things is sound that is too close, soft-edged, and compressed. The soft-edged part is more pronounced through speakers, and the too compressed part is unpleasantly obvious through headphones. Release fourteen, disc sixteen. Maria Perrotta plays Beethoven's last three sonatas, with some Scriabin as an encore. In recital. Op 109 is a thing of beauty. Largely calm and flowing and lyrical, at times serene, and most definitely of a transcendent style in the last movement, Perrotta's playing instantly caught my attention and held it for each and every note. Sure, the Prestissimo is not exactly fiery and intense, but in the context of her interpretation, it fits perfectly. Op 110 offers more of the same. The first two movements offer a tad more bite than found in 109, but the final movement is back to the transcendent style. Perrotta does ratchet up the intensity and speed a bit in the fugue. The repeated chords before the inverted fugue start gently and build up to a relatively loud climax before gently segueing to the inverted fugue, which Perrotta plays with real fire and intensity right up until the coda. Op 111 opens with a reasonably dark and mysterious Maestoso, and then moves to an Allegro that starts a bit soft and slow only to build up to a satisfyingly intense overall sound and feel, with some quieter interludes allowed. The Arietta sounds lovely, particularly in the serene second half. Perrotta wastes no time transitioning right into the first variation, which, along with the second, sheds a bit of the serenity of the Arietta, but still manages to sound profound. The boogie woogie variation is quite intense and swift and moves forward with gentle relentlessness to the fourth variation, which introduces some prominent, italicized left hand playing. The “little stars“ sound just lovely, the playing before the emergence of the final chains of trills surprisingly urgent, the trills somehow both crisp and blurred, and the coda, maybe just a bit rushed, nonetheless sounds magnificent and sublime. The Scriabin Op 8/2 Etude packs something of a wallop as an encore, and has strong hints of Albeniz, of all composers. Ms Perrotta's playing is generally rock solid, though maybe a few passages betray just a few hints of less than absolute control. Such observations are piffle here. Ms Perrotta's artistry is sublime. I must hear more from her. Sound is very good for a live recording, though not SOTA, and the Fabbrini collection Steinway manages to still sound wonderful. Glad you liked that one as much as I did. Think I may have called it a "modern-instrument Crawford," because of the feeling of profundity/sublimity which hovers over the final movements of all three sonatas. It is excellent. I haven't played it this year; maybe one night soon. I thought her Chopin sonata (op 58) was utterly without interest or personality at best (allegro) and cloyingly twee at worst (largo). Release fifteen, disc seventeen. 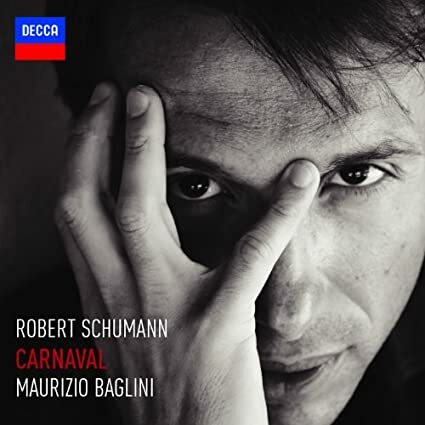 Maurizio Baglini playing four Schumann works: Abegg Variations, Papillons, Carnaval, and Faschingsschwank aus Wien. The disc starts off with Op 1, and I must confess that the Abegg Variations has never been a favorite of mine. Baglini almost changes that. Unremittingly upbeat, almost giddy, Baglini zips through the piece. He takes full advantage of the (potentially) bright upper registers of his Fazioli, making entire passages ping out in shrill sweetness. He seems to delight in playing some passages as fast as he can. In contrast, Papillons finds him leveraging the big bass of his piano, and toning down the brightness much of the time. He also deploys some personal rubato and sometimes veers into pensive playing, sometimes into giddy playing. He offers some nice contrasts in style, without ever veering into the excessively indulgent playing of Jean-Marc Luisada, whose recording of this piece was the last new one I heard. After the two small warm-ups, it was time for the main course, Schumann's greatest piano work, Carnaval. Here, Baglini marries the hefty bass and bright highs, and creates an occasionally vastly scaled take on the work. But he tempers this with sometimes exceedingly gentle playing. Some may find some of the playing too mannered – Arlequin starts off slow and syrupy, and displays perhaps exaggerated dynamics – but then again, maybe not. And I have never heard left hand playing in Valse Noble like is on offer here. Eusebius is soft and gentle and dreamy, just as should be, but it is unlike other takes. Florestan is not as fiery as I expected, but it still contrasts nicely with its opposite. Sphinxes pops out as a study in exaggerations, with ridiculously loud left hand chords alternating with almost impossibly soft right hand chords. (What a nice contrast between this and Herbert Schuch's “modern“ Ligeti-ish and strummed take!) It may be too much of a good thing, but excess can be great, too. As if to remind the listener that he can let loose, Baglini lets loose in Papillons, just because. More deft touches appear without fail until the massive, thundering Valse Allemande, with the full resources of the Fazioli on display. The Pause growls up to the Great Gate of Kiev-esque March, which also has crashing right hand chords, tempo tinkering, and dynamic tweaking unlike any other performance, and it all works just right. Fantastico! The disc ends with Faschingsschwank aus Wien. Baglini adopts a similar overall approach in that he deploys rubato and dynamic alterations of a personal manner. At times unabashedly rambunctious, at others, like in the Romanze, slow and something approaching introspective, Baglini mixes things up. Recently, I revisited Arturo Benedetti Michelangeli's 50s recording of the last two works here, and it says something of Baglini's talent that Michelangeli does not emerge as the overwhelming, obvious favorite. Yes, I'd give the nod to the titan (though I am one of perhaps four people on earth who prefer his later, 70s Carnaval even more), but I count myself lucky that I get to have both Michelangeli and Baglini in my collection – not to mention all the other fine versions of the main work. The liner notes state that this disc is from a single live recital. If so, the audience is about the quietest I have ever heard, and Baglini makes no unforced errors. Sound is a bit distant but top flight. A second great disc in a row in my survey, and perhaps better than Baglini's Mussorgsky disc. There is also a Decca box of complete Chopin works that Todd alerted me to. I am not at home right now and don't recall the (little-known) young pianist's name. But overall it is an excellent buy. Release sixteen, disc eighteen. Maria Perrotta playing the Goldberg Variations. The beautiful bookends of the Aria and its recapitulation surround a little over an hour of extremely fine music making. Perrotta plays beautifully throughout. She plays slower movements just right, and many faster movements display hints of intensity that I was not expecting. That's not to say any of the playing is overwrought, because it certainly is not. Rather, I look at it as the music being alive, or infused with energy. To be sure, her playing lacks the dazzling precision of Bahrami's in the fast passages, but it displays more depth. Perrotta plays very well throughout, but her playing seems blended – no hyperarticulated inner voices here – and big picture in nature; that is, while each variation is thought out and unique, everything is part of the bigger whole. While not of Andras Schiff quality, this is a superb recording of the work, certainly preferable to Bahrami's take, and a fair number of others, though I doubt it would displace anyone's other established favorites. Sound for the live recording is excellent, though not quite as good as for Perrotta's late LvB. I've enjoyed your reviews as I've never heard any of these pianists. Unluckily for Italian UMG, Beatrice Rana, probably Italy's finest young pianist, has just signed to Warner. In any case I was wondering how you determined it's Schumann's greatest work, rather than just your favorite. The same way you determined that Ms Rana is probably Italy's finest young pianists. not really, as I said probably, and you do know all of Schumann's piano works, whereas I haven't heard any of these young Italian pianists. There's also a reason to use probably with Rana as she really stands out among all nationalities I've heard. In any case it seems Italy is awash with fine pianists who at least abroad get an airing. It must help that the country attracts so many outstanding teachers at their conservatories. Do you know other countries that have these hidden away national releases from UMG? Another Italian pianist to watch out for is Alessandro Taverna who won third prize at the 2009 Leeds Competition. There's a fantastic YT video of him playing Medtner and Mendelssohn at the competition. As I haven't heard any of these young pianists, and as Todd has made peculiar use of the word 'specialist' a few times in these posts, I'm going to lookup the pedigree of each pianist to see with whom they studied and if that perhaps led them to their apparent specialisation. Ramin Bahrami studied in Italy with Piero Rattalino and Wolfgang Bloser, and later with Weissenberg, Schiff, Levin and, 'especially', Tureck. 3 prominent Bach pianists there; Weissenberg very much a tonic to the other two. The last so-called Bach specialist I recall, Evgeni Koroliov, has proven very disappointing in other repertoire. I hope Bahrami can adapt better. Giuseppe Albanese is one of those artists who in his bio annoyingly omits the names of his teachers, as if he just fell from the sky directly into piano competitions. Apparently at the age of five, 'at his personal request', he began to play the piano. He studied in Imola with Franco Scala and, like Bahrami, with Piero Rattalino. Franco Scala studied with the fantastic Carlo Zecchi. No conclusions to draw except his need for a lot more generosity to those who taught him than printing a mere tiny paragraph at the bottom of a longwinded and uninteresting bio. Like the two above, Vanessa Benelli Mosell also studied in Imola, with the Zecchi pupil Franco Scala. Later in Moscow with Voskresensky, and then Alexeev, so she should have a strong technical grounding and a wide dynamic range. Just knowing who her teachers were makes one want to hear her play. Couple that with mostly interesting repertoire and the disc sounds very appealing. She tours a lot too. Filippo Gamba studied with Renzo Bonizzato, who had studied with Michelangeli (see the latter's masterclass video). Gamba also studied with the incredible Maria Tipo, and with Homero Francesch. Outstanding. Todd's description of Gamba's slow tempo could be very appealing if ulterior voices and lines are highlighted (not stated in the brief review). Certainly one to look into. Another in Imola - Michail Lifits. He studied with Bernd Goetzke (a Michelangeli pupil) and the Neuhaus pupil Boris Petrushansky. Some of the names of these piano competitions are ridiculous -- the Hilton Head International PC in South Carolina. Really? Todd mentions Lifits' lovely tone and that could have been inferred from his teachers. Sounds like a good disc and a pianist to follow. 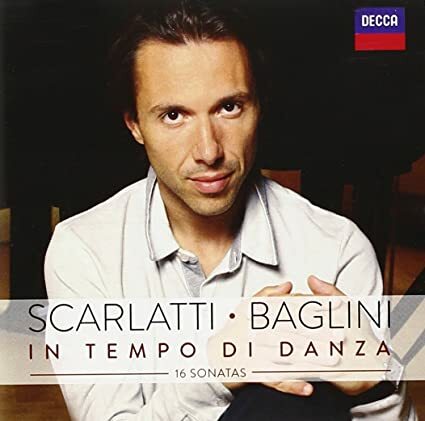 Maurizio Baglini - another pianist so full of himself he doesn't even mention his teachers. Does anyone really want to hear that he's run a marathon when he can't even bother to name the pianists who have helped him make a living as a supposed artist? Another who studied with Piero Rattalino, and with Lazar Berman (hello Liszt) in Imola. Pathetic that's not mentioned on his own website. Roberto Prosseda also leaves his website bare but it's more professional than Baglini. However there's a lot of info on his wikipedia page. Another who studied in Imola with Franco Scala, Lonquich and Petrushansky, and later with Bashkirov, Fleisher, Rosen, Karl Schnabel, Ts'ong and some others I haven't heard. This is a case of a long lineage that is probably more important towards its start (the Zecchi pupil Scala, and Neuhaus pupil Petrushansky). It seems there's nothing in particular that makes him a 'Mendelssohn specialist' except having discovered some scores and having recorded a lot of the composer. Another pianist born straight onto the stage, Maria Perrotta has done her best to erase that she studied with Antonella Barbarossa and Edda Ponti, and later in Imola with Scala and Petrushansky, and then Walter Blankenheim (Long pupil). Why hide such outstanding teachers? Little wonder she's received Todd's praise. Thanks Mandryka for mentioning her op. 58. In conclusion: of the three supposed specialists, two have strong links through their teachers, and the third doesn't really have a specialty at all. Some important ties here to Michelangeli, Zecchi and Neuhaus, as well as many other fine pianists. Sounds like all will be worth hearing, which is something I couldn't have said until now. Also revealing is that some of these young pianists are very much in need of some humility in writing their bloated bios. They'd win in two ways then -- respect to those who have taught them (and who are probably finer pianists than them), and a fostering of interest among pianophiles who admire such lineages and love many different pianists. Also it seems that Imola is quite the place to study, and might have some rather tight ties with UMG. You're obviously one of those pianophiles who places a great deal of emphasis on pedagogical lines, as well as competitions. That's fine. I'm not especially interested in those things. I prefer to listen to recordings without concerning myself about these things, which may or may not have much to do with the quality of the music-making. Your writing indicates that you can predict how some of them might sound without having heard them. I can't do that, even if I know who the pianists studied with. Incidentally, when I use the word specialization or one of its derivatives in this context, I mean it in terms of what the pianists seem to or do focus on. That may or may not mean that the pianist is good in that repertoire. Your writing indicates that you can predict how some of them might sound without having heard them. Not how they might sound on record per se, but in having studied with particular pianists renowned for their tonal qualities they would, probably, have learned a great deal about the same and how to recreate it. Lifits may also bang as awfully as Serebryakov, it's just that one would expect the opposite of that after learning about his teachers. After your interesting survey I'll watch out for live recordings of all these pianists. If you know anymore about national UMG releases, let us know. 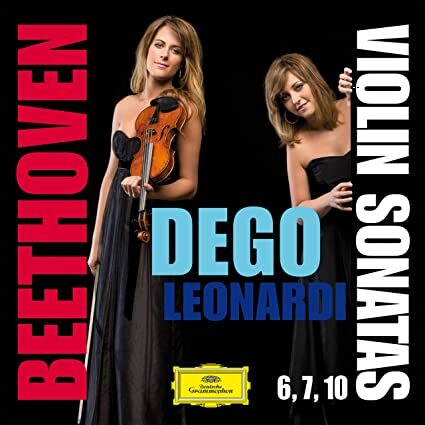 Release seventeen, disc nineteen, the completion of the Dego/Leonardi LvB Violin Sonata cycle. Not too surprisingly, the disc maintains the light overall feel of the two prior discs. It also sounds lethargic much of the time. This ends up impacting Op 96 the most. Op 30/2 fares best, relatively speaking. One really nifty feature if Leonardi's playing in 30/1, where a couple times her independence of hands is so good that it almost sounds like two pianists playing, one delivering a nicely scaled, steady accompaniment, the other more potent melodies to rival the violin. Truth to tell, I was hoping for a bit more in this final disc, but it is still nice enough. Todd, did you have a chance to listen to the WTC by italian pianist Pietro de Maria. I listened to P&F 1-6 ysterday and was very, very pleased. It is in the queue. I'll probably listen to it after the other new Italian titles on my to-hear pile (Albanese, Laneri) are done. Great. I'll wait until you chime in. Listen to the famous opening Prelude. Have there ever been more dynamic nuances in that simple, unchallenging piece ? My favourites so far have been Horszowski and Richter in Book I. 18 more P&F to listen to. I find that the 6pack formula works well for me. Release eighteen, disc twenty. Giuseppe Albanese playing an assortment of Liszt pieces. Though Albanese's DG debut wasn't the highlight of my first batch of Italian discs, I decided I should try his Liszt. I am glad I did. Albanese sounds more at home here, and he offers more variety in his playing. Au bord d'une source and Les jeux d'eaux a la Villa d'Este (misspelled on the back cover) open the disc and find Mr Albanese playing with more subtlety, color, and dynamic shading on the quiet end of the spectrum. There are hints of more dazzling playing, and then in the Second Legend, one gets to hear some larger scale playing. The Dante sonata follows, and it combines everything in one extremely well done rendition of the piece. It doesn't swell and undulate with the very best of them (Julian Gorus, say, or various Piano Titans of old), and as recorded, it doesn't achieve the same sense of scale as displayed on his first disc, but it is superb. Then comes the Rhapsodie Espagnole. Albanese crushes it. Here is potentially garish Liszt, played in unabashedly virtuosic style, that nonetheless sounds fantastic and engaging. 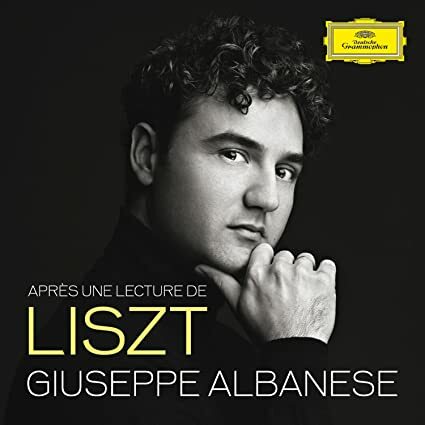 This is generally the type of Liszt piece I don't listen to, but Albanese makes the most of it. This is followed up by a beautiful, gentle, contemplative Danse des Sylphes transcription. Liszt's transcription of Isolde's Liebestod follows, and Albanese delivers a very fine reading, mostly tender and lovely, and possessed of some convulsing, repeated chords as the piece progresses, and a delicate ending. This more or less matches up to Zoltan Kocsis' reading to my ears. The disc ends with the Reminiscences de Norma. Here's I piece I've only heard a few times, and then the only recording I recall having heard is Jorge Bolet's late career recording. This one is rather more vibrant and varied in tone, dynamics, and is quite digitally dazzling. I can't say it matches the best works on this disc, but it is excellent in every way. This disc is much more to my liking than Albanese's first disc. It's one heckuva Liszt recital. It makes me want to here him in more Liszt. An interview he did for an Italian language outlet (go figure) indicates that he has always had an affinity for the Hungarian. It shows. Sound is generally superb, but it sounds a bit processed, with manipulated sounding reverb and hints of compression. Page created in 0.066 seconds with 31 queries.